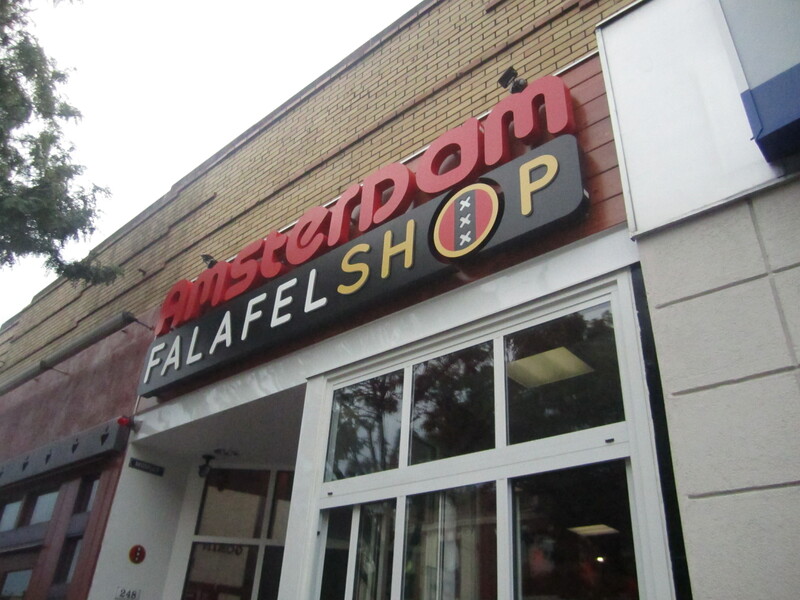 Amsterdam Falafelshop is a franchise which originated in Washington D.C. After really solid falafel in France and frites in Belgium, we were thrilled for the chance to sample some falafel and fries from the fairly new Davis Square falafel shop. Upon entrance, there is some fairly provocative art work. 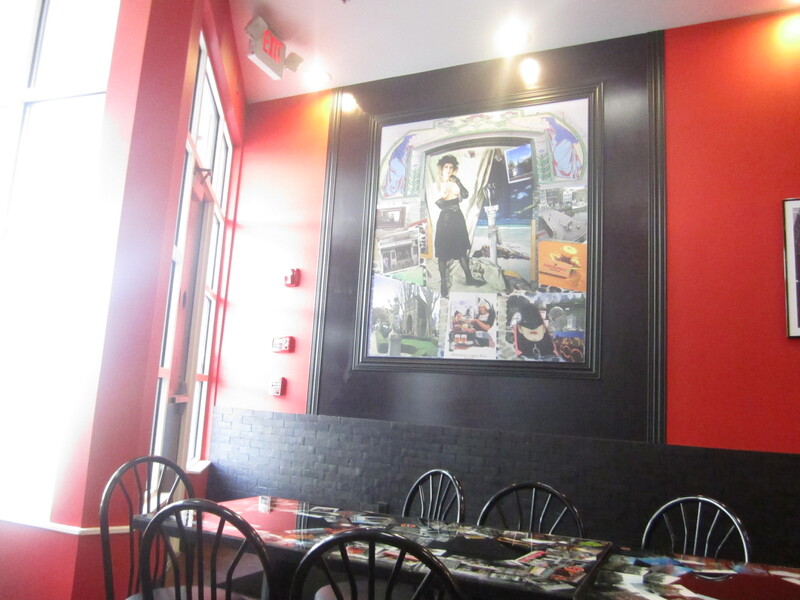 The tables have fun photographs of falafel shops in other countries. 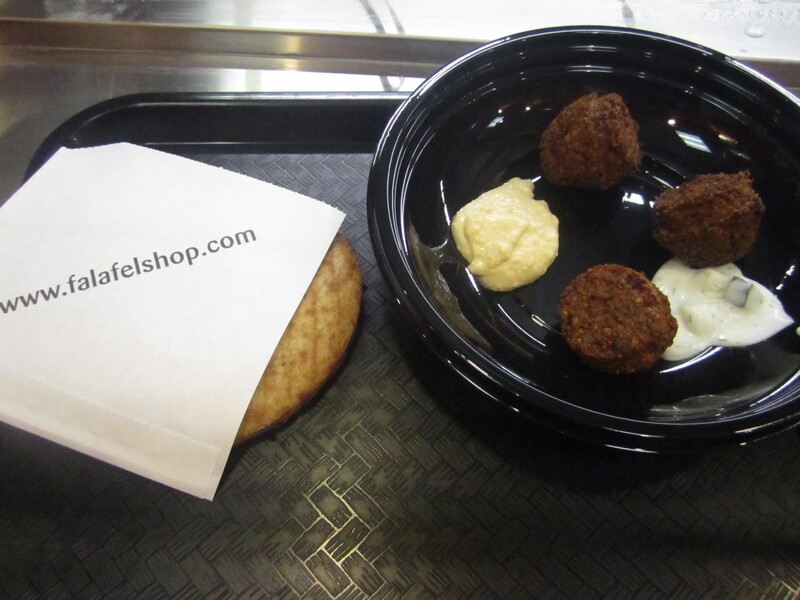 Patrons can choose if they want a white or wheat organic pita as a sandwich or as a salad bowl. If one opts for a salad bowl, the pita is an extra $1.00. The sandwiches and bowls are priced by weight. We ordered a salad bowl with 3 crispy fried chickpea balls and a whole wheat pita on the side and got a small tasting of hummus and Yogurt, Dill Tzatziki for approximately $2.00. 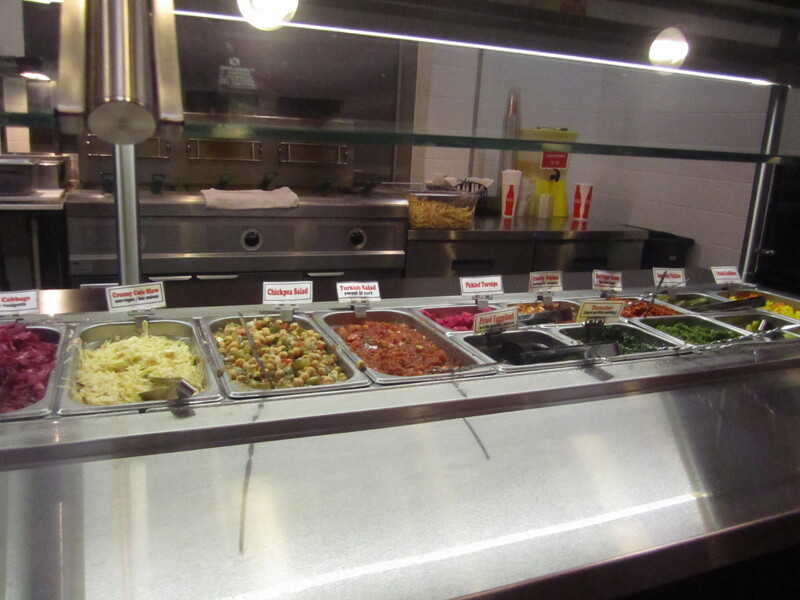 There were many other toppings to enjoy including Baba Ganoush, Chickpea Salad, Pickled Dill Cucumbers, Hummus and Pickled Beets. We couldn’t help ourselves and had to order a small side of Frieten (fries) for $2.35. The doubled fried potatoes had a nice crispness and tenderness on the inside. 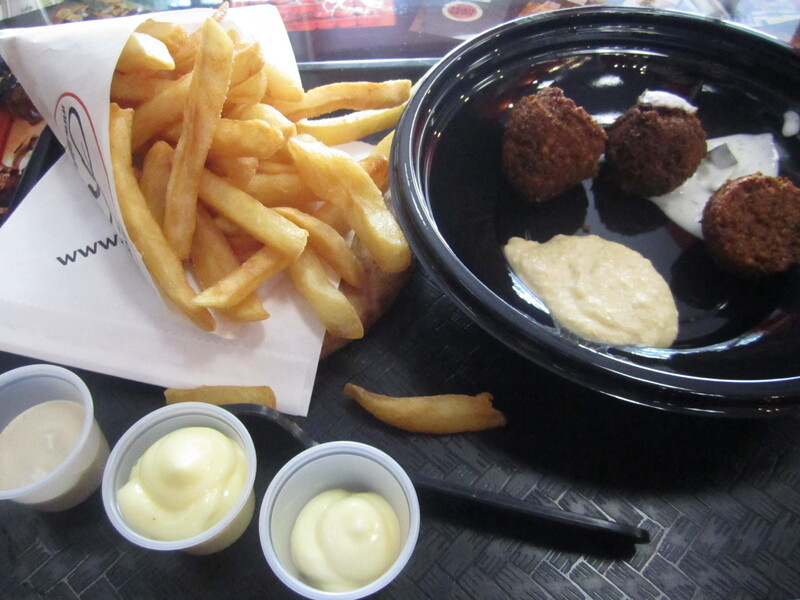 We tasted the fries with tahini, Dutch mayo and garlic cream. We loved the mix of garlic cream and mayo together. Whenever we are back in Davis, we’ll have to stop in again for some quick fried goodness.